The community of Suncrest, just a few miles northwest of Spokane now has a new option for groceries. This with the opening of a new Rosauers Supermarket on the town's South side. The grand opening will happen soon but I'm hearing the store is already open for business. SPOKANE, WA November 26, 2014 -- Rosauers Supermarkets will celebrate the grand opening of its newest store at the corner of Highway 291 and Swensen Road in Suncrest, Washington on Wednesday, December 3. Ribbon Cutting is slated for 9:00am. "We're excited about our new concept store designed to serve smaller communities" said Jeff Philipps, President of Rosauers. "While smaller, there is an incredible offering of traditional, specialty, ethnic, natural and organic products throughout the store," Philipps added. 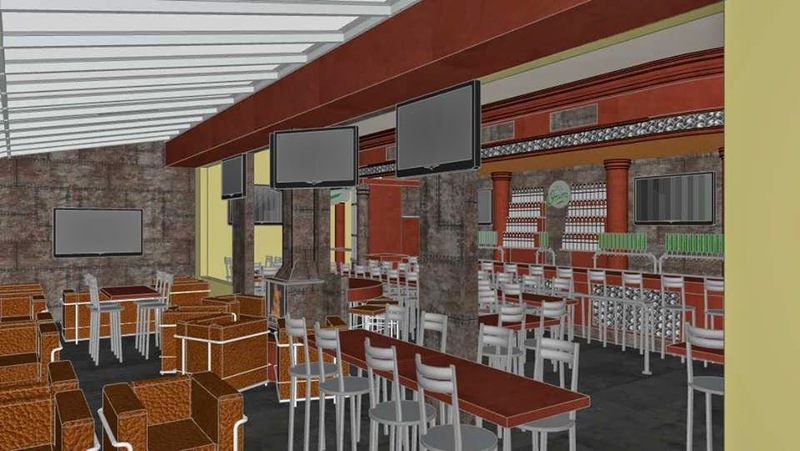 Also featured will be a full service meat and seafood counter, bakery and large service-deli featuring a seating area with a fireplace and free Wi-Fi. The store will offer an extensive wine, beer and spirits department. Something new for the company is the addition of a fuel center which will be included in the Commercial Fueling Network (CFN). The store has hired 50 employees, mostly from the Suncrest/Nine Mile Falls area. Rosauers is headquartered in Spokane and operates stores in Idaho, Montana, Oregon and Washington. Rosauers is a wholly owned subsidiary of URM Stores, a wholesale cooperative located in Spokane. The addition of the Suncrest store will bring the total number of Rosauers company locations to 22. It's time once again for a Building Permit Watch post. I haven't posted this in awhile so as a reminder, these are posts of interesting tidbits that can be found in the public record building permit searches. Iron Goat Brewing - Already a Spokane based microbrewery appears to be look to relocate / expand (?) at 1302 W. Second . Bennidito's Pizza While listed as Bennidito's Brewery we can only assume this would be a branch off of the Bennidito's Pizza business. They are looking at 1907 E. Sprague Ave.
Interestingly enough The South Perry Neighborhood Twitter feed ( https://twitter.com/SouthPerryhood )also says Bennidito's Pizza is opening at 1901 E. Sprague so it's clear they are planning something. An art gallery in Kendall Yards? It doesn't have a business name but there is a permit for some kind of art gallery at 1206 W. Summit Pkwy in the Kendall Yards development. Wollnick's General Store coming to Downtown Spokane? Wollnick's is a relatively new retail shop down in the South Perry Neighborhood. And, now they have a permit filed for a building in Downtown Spokane. The permit is for 421 W. Main which would make them a tenant in the newly renovated row of storefronts across from Auntie's Bookstore Downtown. "Hole Shot" in River Park Square? I'm not sure if this will be the final business name but a permit has been filed in the River Park Sqaure Food Court ( Space FC-3 ) for something called Hole Shot. This one is already confirmed, tenant improvements are underway for a move by Rizzuto's Wide Shoes to a new space at 6208 N. Division. Currently that store is just south of the Northtown Mall, also on N. Division. Deaconess Hospital / Rockwood Health System appear to be bringing the free standing ER concept to Spokane with a planned new building at 8202 N. Division. Having only lived in the Spokane area for a little under 10 years now, I'll admit I don't have memories of the Tiki Lodge in Downtown Spokane. But many Spokanites do and now I'm happy to report that, that piece of the city's history is back. While I haven't been able to get any pictures or much info yet. The former Select Inn motel has been re-named / re-branded back under the building's original name of the Tiki Lodge. The Tiki Lodge is located at 1420 W. Second next door to Jenny's Diner and across Maple St. from Frank's Diner . The new owner has already put up the new signs identifying the motel as the Tiki Lodge and does have plans to restore the property back to state when the original Tiki Lodge was open back in the 60's and 70's. I'm told the rooms will be redone in a retro style, even with rotary phones in each room and the front awnings will be re-painted the original orange. Much of this work however is planned to happen next year. Currently the business has no web site or social media pages. We will continue to keep an eye on this exciting Spokane flash back project. Today I'm starting a new feature called " hey, what's going in there ? " based on the motto of this blog. This article will hopefully answer what is happening at some of the unmarked construction sites around Spokane. If you have a project you'd like me to look into, contact me anytime! After hearing about this project for sometime construction is actually now underway for new building coming soon to the heart of one of Spokane's hottest neighborhoods, the South Perry Neighborhood. The building will be built out with 2 floors, first floor being commercial with bay(s) for either restaurants or retail. The second floor will be used as a medical office. Apartments we're also once included in the plans but appear to have been pulled out of the plans. Construction by Newport Hwy. and Holland , near The Y. A reader alerted me to this project because there is a rumor that this site would be a new Texas Roadhouse. And, although I too have heard of Texas Roadhouse coming to Spokane, this will not be the site it comes too. However the construction you see today is for a new retail development to be anchored by a Sherwin Williams Paint store. Tenants other the Sherwin Williams Paint are coming, but the paint retailer is the only store confirmed at the site right now. The new building's address will be 9412 N. Newport Hwy. Also in the 9000 block of N. Newport Hwy is the former North Spokane Ramada Inn hotel. The business has been closed for a time and extensive remodeling is underway to convert the property to an all new LaQunita Inn. 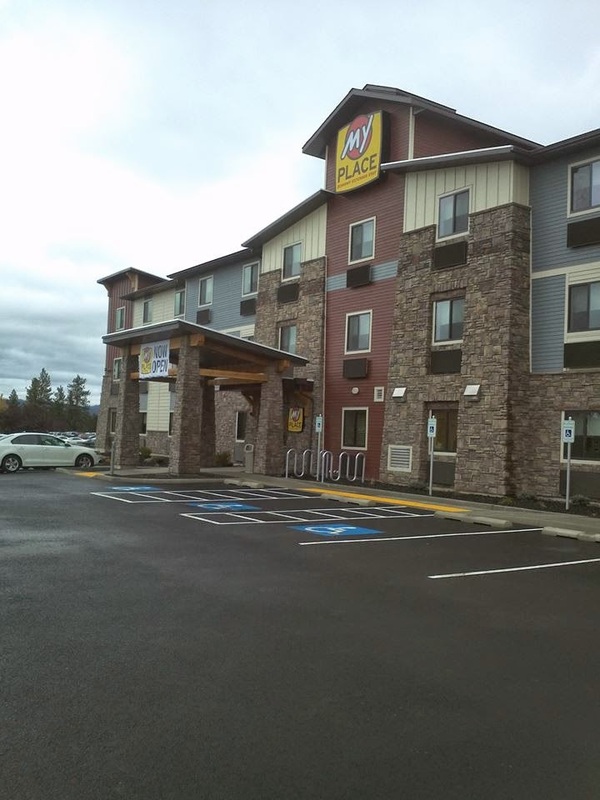 The new North Spokane LaQunita Inn is located at 9601 N. Newport Hwy. Construction next to Chuck E. Cheese in North Spokane. The same reader who alerted me to the Sherwin Williams site also alerted me to a project next to Chuck E. Cheese. ( Thanks, reader !!! ) . The site which is along N. Nevada will become and office building constructed by Silvey Construction, also of Spokane. Plans call for a little over 14,000 square feet of office space on two floors with basement. No tenants however are known yet for this new building. Tentatively the building is called the Nevada Professional Building. Spokane Winter Glow Spectacular 2014 , a holiday lights event coming to Riverfront Park. Spokane's new "Winter Glow" event kicks off with a lighting ceremony at 6:30 PM on November 28th, just after Thanksgiving. The event which intends to become an annual event of holiday lights around Riverfront Park will be on display from 5-9pm nightly through Jan 1st with longer hours on weekends. The nightly event is free and open to the public, with carriage and wagon rides also available for a small fee. The Spokane Winter Glow Spectacular is mainly sponsored by Avista , Washington Trust Bank and Coordinated Care. Darigold and Dairy Farmers of Washington to donate 11,000 half gallons of milk to KREM 2 News' Tom's Turkey Drive. Darigold and the Dairy Farmers of Washington have joined the 15th Annual ‘Tom’s Turkey Drive’ to provide complete turkey dinners to Inland families for a $20 donation this weekend at all Rosauers stores. Third generation dairy farmer, Stephanie Littrel, says last year’s event provided 11,000 dinners so the dairy farmers will donate 11,000 half gallons of milk to go with each turkey dinner donation this year. Tom's Turkey Drive relies on hundreds of volunteers each year. Visit the 2nd Harvest website www.2-harvest.org to learn more about specific volunteer opportunities. Tom’s Turkey Thanksgiving meal bags including a half gallon of 2% milk will be distributed at the Spokane Veterans Memorial Arena, 720 W. Mallon Ave., on Tuesday, November 25, 10 a.m. to 7 p.m. Darigold, Dairy Farmers of Washington have joined KREM TV’s Tom Sherry, 2nd Harvest and the Salvation Army to fight hunger this holiday season with support from Numerican Credit Union, Rockwood Health Systems, Franz Bakery and Itron – all working together to provide holiday meals to area families in need during the holiday season. West Plains Petro Truck Stop collecting food and coats / blankets for the less fortunate. "We" are doing a food and coat/blanket drive for our less fortunate in Spokane. We are accepting money (will be used to purchase food), food,... bottle water, coats, gloves, socks and blankets. ANY THING you would be willing to donate we will definitely get it to people who need them. We are trying to collect everything by Wed.12/10. We will be handing these items out on Saturday 12/13. Demolition work is wrapping up with the building now down at the vacant building that once housed Spokane Valley's Plantation Restaurant . It is very unfortunate these plans apparently got cancelled. The building was located at 8122 E. Sprague Ave. and appears to now be for sale as commercial land. There are currently no plans for the site that we know of yet. But, are continuing to keep and eye on this one. There is a new option of places to stay in Spokane Valley with last week's official opening of the My Place Hotel - Spokane Valley. The hotel's opening marks the rapidly growing chain expansion further into the Northwest. 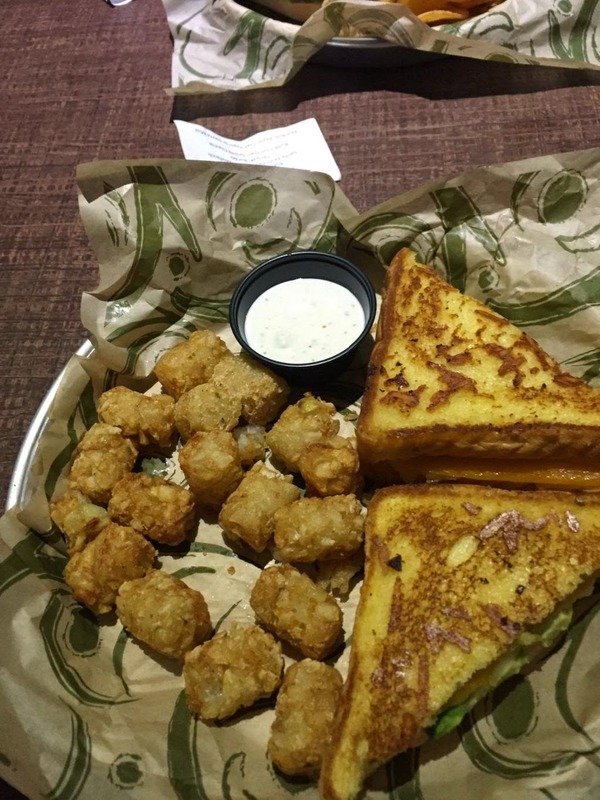 The chain is based in Aberdeen,SD and already has locations all around the United States after only being in business since 2012. The company was founded by the same person who founded the Super 8 Hotel chain, Ron Rivett . The hotels in the My Place system are geared towards extended stay travel, however booking for just one night is offered. The hotel is located at 16106 E. Indiana Ave. across from the Riverview Corporate Center and a very short drive / walk east of the I-90 Sullivan exit and the Spokane Valley Mall. The hotel features 64 guest rooms spread out though-out the 3 story building. Rooms feature something called "my kitchen" with small cook top, microwave and refrigerator. On site laundry facilities, high speed internet access , and a small convenience store are all also offered. Room discounts are available to AAA/CAA members , AARP members and government employee's. This business downsizing / closure will effect a local landmark business that thousands of commuters pass by each day on I-90 . That business is, The Nut Factory, and it has operated out of that highly visible building at 19425 E. Broadway in Spokane Valley since the late 90's and other locations dating back many years before that. But, now news has come in that The Nut Factory will soon undergo a big change which will mean leaving that site along I-90. The business will actually fully close down their retail storefront and will re-focus the business to a new web based sales format via the company's web site, which can be found at the bottom of this article. In addition, The Nut Factory hopes to increase wholesale sales and their sales outside of the United States. The business will actually vacate the building at 19425 E. Broadway entirely with the production and warehousing moving to a yet to confirmed industrial building elsewhere in the Spokane area. The building will be put up for sale soon and the store's closure is expected to happen sometime this month. One of the region's larger employer's, and perhaps the largest employer in Post Falls will soon close it's doors. The closure will be of the Post Falls Kimball Office manufacturing facility, which has operated along Seltice Way west of Chase Rd. since the mid 1990's ( originally called Harper's ). The company plans to relocate all production for the local plant to the companies other exsisting facilities in Indiana. In all, the Post Falls Kimball Office plant employ's about 260 and most, if not all employees will be laid off. Many employees will also be offered a severance package. The plant closure will not be immediate, with lay offs starting as early as January and a full closure coming in about 2 years. Also, the Kimball Office manufacturing facility has been placed up for sale with a potential buyer already found for a portion of the building. That buyer has yet to be named but it appears that buyer will occupy between 100,000 and 150,000 square feet of space including the buildings front office space. Given that it's unclear as to who this buyer is, it's also unclear if as to whether or not this new business might hire some of the former Kimball employee's. With Walt Worthy's massive Grand Hotel Spokane project going up rapidly nearby the Convention Center, Downtown's skyline is already changing. But, another new large project is also in the works , not far from the Grand Hotel. And, this project would change the look of the skyline perhaps more drastically then the hotel itself. That project is a yet to be named high rise currently in the planning phase for the eastern edge of Downtown. The building would rise from the lot at the corner of Spokane Falls Blvd. and N. Division, on the Southeast side of the intersection. Currently an abandoned auto repair shop stands on the corner, it will be removed to make way for the project. There is no construction start date or estimated opening date as of yet but we do know some info. The main news about the project will be it's shear size. The high rise will become Spokane's tallest building with 35 floors planned. In fact, this building eclipses the current tallest building in Spokane, The Bank of America Tower by 17 floors. The new building will be developed by local developer / dentist Dr. Phillip Rudy, this is by far his largest project ever undertaken, should it come to fruition. Plans on the 35 story high rise call for multiple uses, with retail and restaurant uses and residential uses included. Likely apartments geared towards students of the nearby Washington State University-Spokane and others looking to live where they work and play, Downtown Spokane. We will be keeping an eye and ear out for more info and possible renderings of this potentially major project. 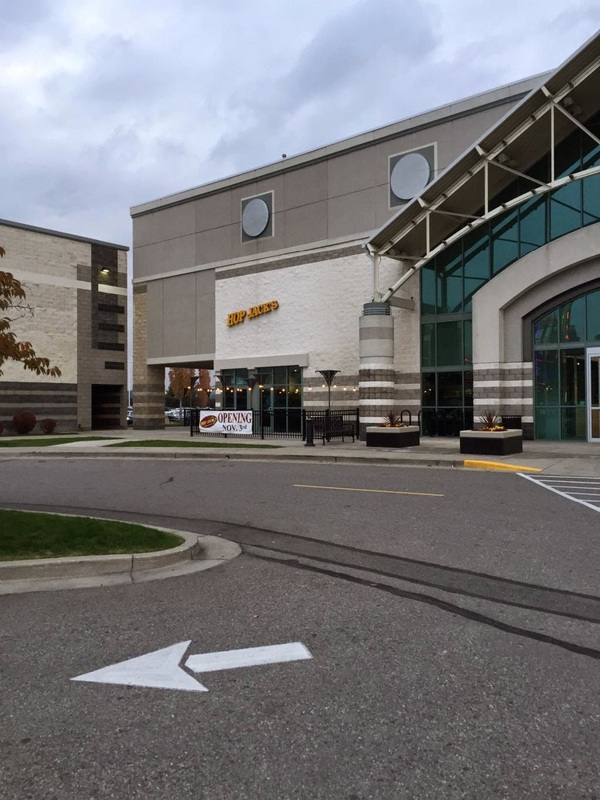 Late last week we got the news from the Southgate District Center's Facebook page that a handful of new permits have been issued for even more new tenants coming to the Regal Plaza shopping center. For those who may not know, Regal Plaza is the new Target anchored shopping center at Regal and Palouse Hwy on the South Hill. Slick Rock Tanning and Spa (2 existing locations in ID)"
In addition to these four new businesses, T-Mobile is also planning a store at the center. We'll be looking for more information on all of these new businesses. But, especially on Jersey Mike's Subs as this will be their first location in Spokane. Jersey Mike's is a chain of sub sandwich restaurants based in Manasquan,NJ. Several businesses in addition to Target are already opening at Regal Plaza and it's exciting to see this development fill up so fast. CVS ,Chick-fil-A and Bass Pro Shops coming to Spokane? Some big national chains are starting to expand more aggressively with the new improving economy. Three of those, CVS Pharmacy, Chick-fil-A and Bass Pro Shops are now on our radar as possibly coming soon to the Spokane area. We don't have any confirmations yet but all three chains have recently or will soon open their first locations in Washington State. Only thing is they are all, for now, are in Western Washington. But Spokane might be their next logical step in expanding further into the state. We have also confirmed that Chipolte Mexican Grill and Cracker Barrel will be opening in Coeur d' Alene and are also tracking a lot of rumors in our area. Downtown Spokane's new " restaurant row " along continues to grow with a new restaurant opening next Spring in the former Agave Latin Bistro space at the corner of Lincoln and Sprague. The new restaurant was originally announced as a business called Burger Lab. But, we now know this new space will still be a burger restaurant with bar to instead be called Knife Burger Bar. Knife Burger Bar is too open sometime in the Spring of 2015 and will create about 20 new local jobs. The new restaurant is headed up by a well known team of local restaurateurs, including Matt Goodwin, Armando Hurtado, Jon Wells, Joshua Hissong and Skip Hissong. Collectively this group owns 14 companies in the Spokane area. Design work will be done locally by HDG Hissong + Hurtado Design Group. This is the same group that designed the other restaurants in the new Restaurant Row which currently also include Nudo Ramen House and Fire Artisan Pizza. We're also hearing a rumbling of another new restaurant around the corner in the old Deleon's and a coffee shop in the same block as Knife. Neither of those have been confirmed as of yet. Knife Burger Bar is described as Spokane's first philanthropic restaurant with a portion of a upcoming Kickstarter campaign being donated, another portion of their sales will also be donated. More info on this is available on their web site which can be found below. Knife's menu will consist of a selection of specialty burger with several side options. Also, their web site mentions that bacon can be added at no charge, sign me up! Social media pages coming soon. Last week while out and about in Downtown Spokane I noticed a sign for franchise opportunities for chain of stores called Flip Flop Shops in River Park Square. Some quick research on this company has identified that Flip Flop Shops actually identifies River Park Square mall as not only a open territory for a franchise but as what they call an " Immediate franchise opportunity" which means they plan to have store at the mall within the next few months but don't have a local business owner sign on to run it as of yet. Naturally, since this new Flip Flop Shop store isn't sold to a owner yet there is no opening date, employment info or even which space they would be at in the mall. In fact it can't even be confirmed officially yet but looks way more promising then some of the other plans and rumors. Flip Flop Shops is a INC. 500 company and considered the " hot retailer of the year " by the International Center of Shopping Centers. The company is a retailer of flip flops and casual footwear, selling numerous big brand names. The company is expanding very rapidly with a long list of stores either opening soon or now open.